Washington Square Press, 9780743456081, 208pp. Everyone needs to love and be loved -- even men. But to know love, men must be able to look at the ways that patriarchal culture keeps them from knowing themselves, from being in touch with their feelings, from loving. In The Will to Change, bell hooks gets to the heart of the matter and shows men how to express the emotions that are a fundamental part of who they are -- whatever their age, marital status, ethnicity, or sexual orientation. With trademark candor and fierce intelligence, hooks addresses the most common concerns of men, such as fear of intimacy and loss of their patriarchal place in society, in new and challenging ways. She believes men can find the way to spiritual unity by getting back in touch with the emotionally open part of themselves -- and lay claim to the rich and rewarding inner lives that have historically been the exclusive province of women. 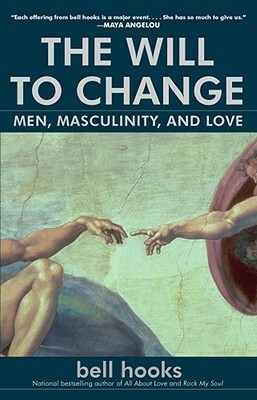 A brave and astonishing work, The Will to Change is designed to help men reclaim the best part of themselves. Publishers Weekly A fierce...denunciation of patriarchy and a clarion call to the uncommitted to align themselves with visionary radical feminism. George Weinberg author of Why Men Won't Commit [A] compelling study of the culture's unfairness to men.